We found 34 open box, clearance, and sales items from kate spade new york - Open Box - Saffiano Wristlet for Apple® iPhone® 6 Plus - Emperor Blue. We found 37 open box, clearance, and sales items from kate spade new york - Open Box - Diagonal Stripe Hybrid Hard Shell Case for Apple® iPhone® 6 Plus and 6s Plus - Black/Cream. 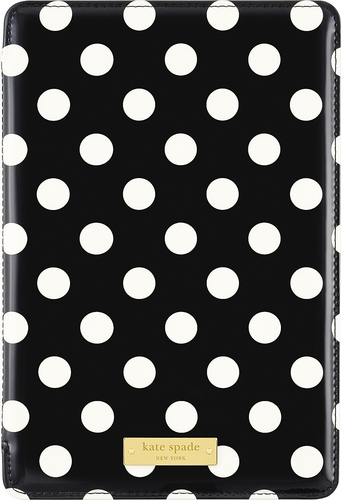 We found 52 open box, clearance, and sales items from kate spade new york - Open Box - Larabee Dot Hybrid Hard Shell Case for Apple® iPhone® 6 Plus - Black/Cream. 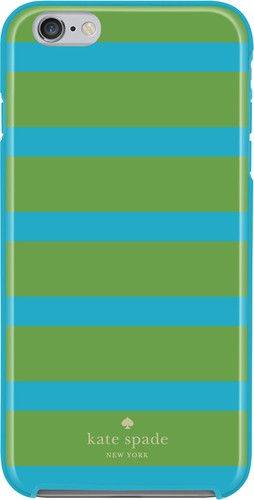 We found 16 open box, clearance, and sales items from kate spade new york - Open Box - Kinetic Stripe Hybrid Hard Shell Case for Apple® iPhone® 6 Plus and 6s Plus - Blue/Green. We found 17 open box, clearance, and sales items from kate spade new york - Open Box - Diagonal Stripe Hybrid Hard Shell Case for Apple® iPhone® 6 Plus and 6s Plus - Blue. We found 34 open box, clearance, and sales items from kate spade new york - Open Box - Larabee Dot Hybrid Hard Shell Case for Apple® iPhone® 6 Plus and 6s Plus - Pink/Orange. We found 48 open box, clearance, and sales items from kate spade new york - Open Box - Confetti Dot Hybrid Hard Shell Case for Apple® iPhone® 6 Plus and 6s Plus - Cream/Black/Green/Blue/Pink/Yellow. We found 35 open box, clearance, and sales items from kate spade new york - Open Box - Kinetic Stripe Hybrid Hard Shell Case for Apple® iPhone® 6 Plus and 6s Plus - Pink/Orange. We found 30 open box, clearance, and sales items from kate spade new york - Open Box - Candy Stripe Hybrid Hard Shell Case for Apple® iPhone® 6 Plus - Turquoise/Yellow/Orange/Pink/Navy. We found 57 open box, clearance, and sales items from kate spade new york - Open Box - Folio Hard Case for Apple® iPad® mini, iPad mini 2 and iPad mini 3 - Black/Cream.